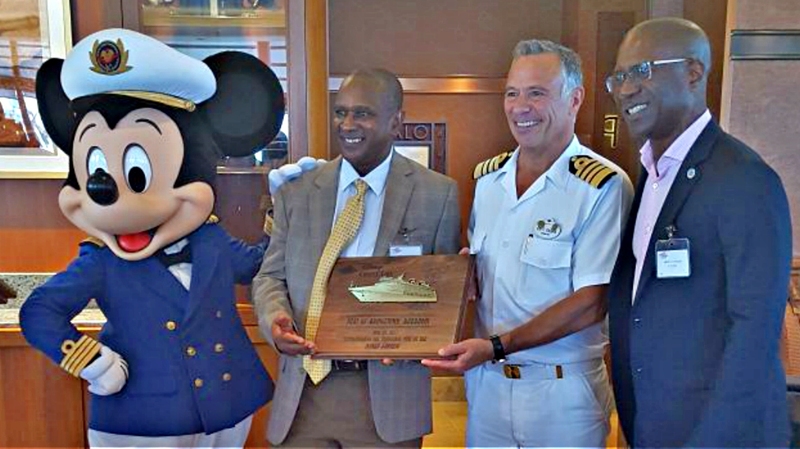 Chairman of the Barbados Tourism Marketing Inc., Alvin Jemmott (second left), presenting the traditional Barbados mahogany plaque to Captain Fabian Dib, joined by CEO of Barbados Port Inc., David Jean-Marie, and Disney mascot, Mickey Mouse. 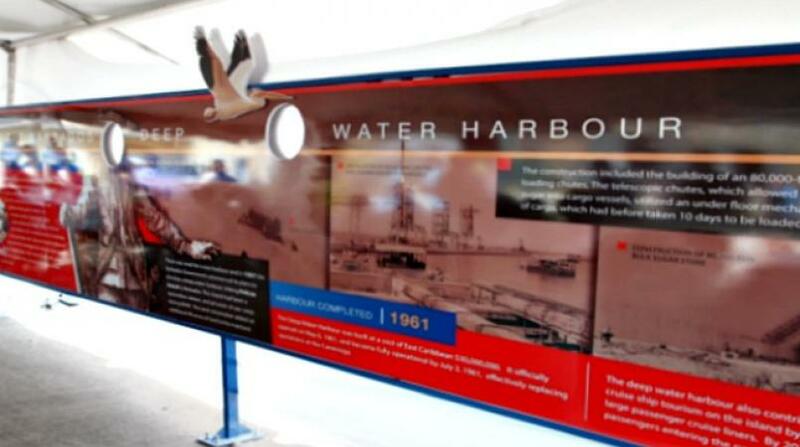 It is being projected that the Bridgetown Port will welcome over 800,000 cruise passengers this cruise season. 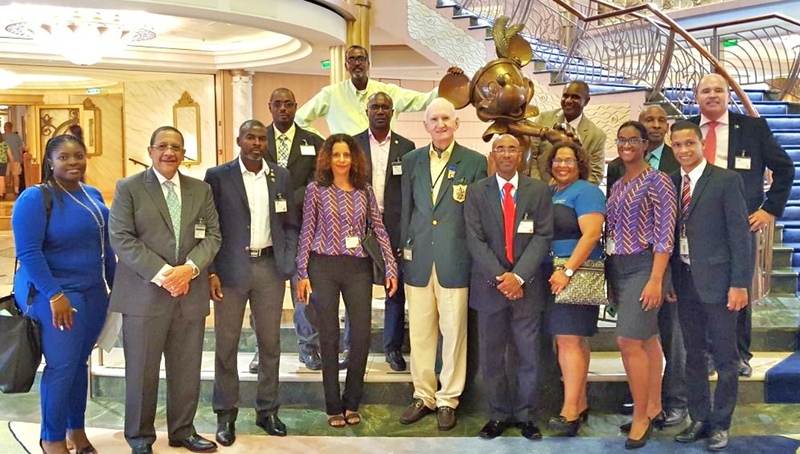 This was revealed by CEO of Barbados Port Inc., David Jean-Marie, as Disney Cruise Line's mega cruise ship Disney Fantasy made its inaugural call on the Bridgetown Port on Thursday. “The cruise season is now starting, but we already project that we will be seeing over 800,000 passengers passing through the Port," said Jean-Marie. 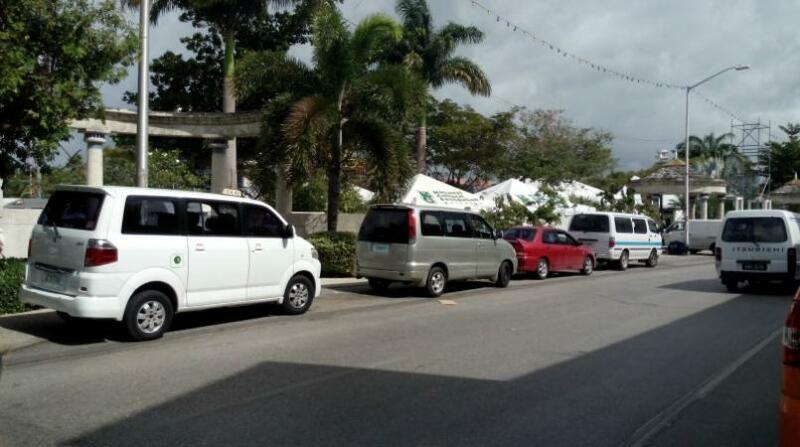 "This is a significant accomplishment that is made possible by the investment that we have made in our facilities which have made Barbados an attractive hub for cruise ships to homeport." "Currently, there are about 17 ships fully or partially homeporting, and this figure continues to rise. We also expect 11 new ship calls this season and we are in ongoing negotiations to bring more ships to the island” he added. Representatives of Barbados Port Inc., officials from Platinum Port Agency, Barbados Tourism Marketing Inc and Bridgetown Cruise Terminals Inc.
Disney Fantasy is the sister ship to Disney Dream, both of which were designed for guests of all ages with experiences such as exploring the universes of Star Wars and Marvel, to shopping at unique onboard venues, a virtual Disney World experience on the sea. The ship is on an 11-Night Southern Caribbean Cruise from Port Canaveral. Its ports-of-call include Canaveral, Florida; Oranjestad, Aruba; Bridgetown, Barbados; Fort-de-France, Martinique; Basseterre, St. Kitts; San Juan, Puerto Rico and Disney Castaway Cay. Disney Fantasy will return to Barbados July 5.